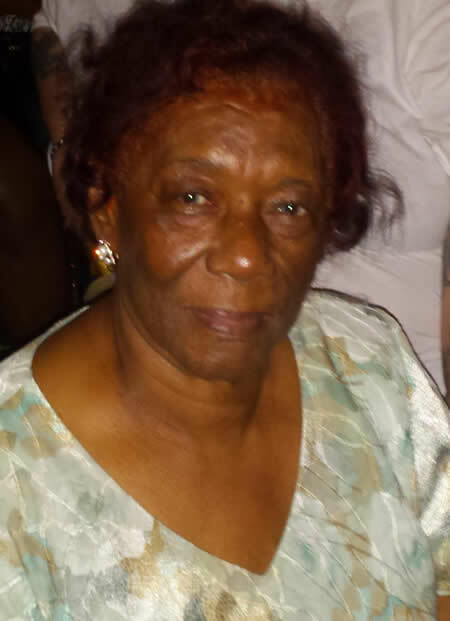 Claudette Hunter Brewer, – age 82, peacefully transitioned into eternity on Monday, November 12, 2018. She leaves to cherish her memory, her children, Floyd (Shannon) Brewer of New Orleans LA, Joan Brewer Duszczak (Richard) of Morganville, NJ, Almetta Brewer Washington of Atlanta, GA, and Cynthia Brewer Logan (Roy) of Memphis, TN; grandchildren, Ian Washington and Rachael Brewer; sister, C’Ethel Hunter Kelly; stepsisters, Lee Ethel Ausama and Lydia Smith Williams; sisters-in-law, Eraina Hunter, Climmie Craft (Jerry), and Velma Bridges; brothers-in-law, Addrell Brewer and Frank Sheppard Brewer (Cheryl); nephews, Rodney Kelly (Pamela), Steven Rodney, Jamal Brewer, Anthony Craft (Dawn); nieces, L. Germaine Mackey (James), Jermaine Craft, Ryan Owens (Jonnie), D’ablo Hunter, Anglear Hunter, and Deidre Mitchell; great-neice, Antoneka Craft-Stalbert (Michael); and a host of other relatives and friends. She is preceded in death by her beloved husband, James Brewer; granddaughter, Janae Alexis Brewer; parents, Rev. Clarence Hunter Sr. and Ethel Molden Hunter Smith; sister, Patricia Hunter Rodney (Lester); brother, Clarence Hunter Jr.; nephew, Addrell Coleman; and niece, Wanda Bolt. Funeral services will be held on Saturday, November 17, 2018 at 10:00AM at Stronger Hope Baptist Church, 2401 S. Galvez St, New Orleans, LA. Visitation will be held from 9:00AM until the hour of service.